Sports undershirt for kids. Crew-neck. Short set-in sleeve. Hemmed sleeve. Semi-snug fit. It is a boys' short-sleeve undershirt, perfect for training sessions, to keep the chest and the arms warm even in harsh weather. It is made of soft cotton inside to keep your skin dry at all times, while externally it is made of wool to provide the greatest comfort and warmth. 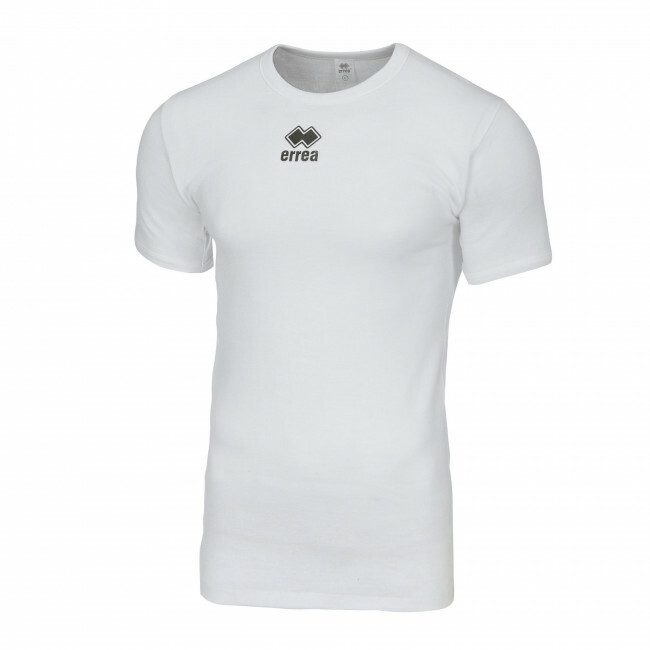 It is perfect to wear under another shirt or under a sweatshirt to assure the best performance during all sports events. Available in both the long-sleeve and the short-sleeve version, it is the perfect garment to wear in harsh weather conditions.